It's totally normal to assume celebrity makeup artists and hairstylists exclusively use high-end, ultra-expensive beauty products on their A-list clientele pre–red carpet. After all, the cumulative sum of Hollywood's gowns and jewels is pretty astronomical, so wouldn't the liquids, powders, lashes, and glosses fall similar? Actually, that is so not the case. Sure, the majority of beauty breakdowns we receive feature plenty of high-end formulas with the potential to end your bank account (or at least this month's grocery budget), but we also receive an impressive roster of products hailing from drugstore brands like Revlon, Tresemmé, Dove, Ardell, and more. Intriguing, no? To prove a red carpet–worthy beauty moment doesn't have to cost you an arm, leg, and inconvenient finance-related nervous breakdown, we scoured our inboxes to find the hair and skin beauty formulas loved and used by the industry's best experts. After all, if they're good enough for muses like Ashley Graham and Regina King, they're most surely good enough for us mere mortals. Ahead, 11 of the most covetable drugstore beauty products we spotted on the red carpet this season. Keep scrolling! ICYMI, Regina King one big-time this award season, but we also think she deserved a gilded statue for her A+ makeup game. 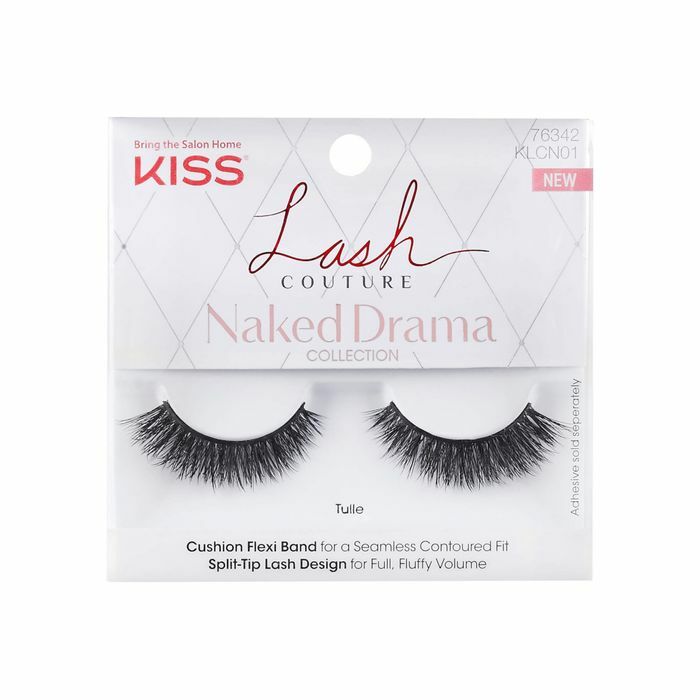 We couldn't stop staring at her Oscars lashes and didn't rest until we identified her falsies as the Kiss Lash Couture Naked Drama in Tulle ($7), which celebrity makeup artist Latrice Johnson skillfully applied. We hope to have such luck with our own application! We're 100% transparent about our ongoing obsession with Amy Adams's strawberry-blonde mane. (So thick! So lustrous!) We had to find out how she and her glam team managed to keep every strand so pristinely shiny and immovable during this year's Oscars. The secret? A drugstore gem courtesy of the hair goddesses at Tresemmé, which comes in at a shockingly nifty value of $6. Celebrity makeup artist Kate Synnott used a mix of Ole Henriksen skincare products to prep Ashley Graham for this year's Oscars but finished her work with everything Revlon. We happen to think the model had one of the best beauty looks this year, and we couldn't help but admire her brows, in particular. Brace yourself: You can get a similar result for just $13. It's no secret singer Camila Cabello nails every note—including each and every aspect of her beauty aesthetic. We had our eyes on her fluttery lashes during the 2019 Grammys and found out celebrity makeup artist Allan Avendaño used this forever-favorite formula from L'Oréal. This year's Grammys host, Alicia Keys, is known for her bare (or barely there) makeup vibe. So the two questions on everyone's mind this year were whether or not she'd wear any makeup at all, and if she did, what would she use? In a cool plot twist, Keys's makeup artist, Dotti (who's also known for her no-makeup makeup aesthetic), used an assortment from natural drugstore beauty brand Burt's Bees to achieve the singer's award show look. Her flawless complexion came courtesy of Burt's Bees Complete Nourishment Facial Oil and the brand's Goodness Glows Full Coverage Liquid Makeup in Walnut and Deep Maple. Cardi B. debuted one of the most impressive updos we saw all award season at the Grammys, which, according to her hairstylist, Tyoko, was '90s-inspired. Obviously, shine and hold were key for a long night of maintenance, and we found out this $5 serum-gel hybrid from Suave was the culprit. Tennis pro and all-around beauty muse Serena Williams debuted the best ponytail of 2019 thus far at this year's Oscars. She worked with celebrity hairstylist Nai'vasha Johnson (who's the self-proclaimed Official Curl Queen!) to create a major moment with some help from extensions, yes, but also from some affordable Dove hair products. She used this new styling debut to help redefine Williams's natural texture before blow-drying. Gemma Chan stays true to her signature style of a low, loose, and romantic chignon on the red carpet. That said, even though the style is naturally sleek and polished, it does require some volume and oomph during styling to ensure it doesn't fall flat. We were able to find out that celebrity hairstylist Clariss Anya Rubenstein used Marc Anthony Dream Big Volume Perfectly Full Thickening Cream ($11) to prime and prep the actress's strands to perfection. Katy Perry is never not serving up tons of hair and makeup inspiration. Thus, our expectations run supremely high whenever she hits the red carpet during award season. For the Grammys, her makeup artist, Michael Anthony, (not too surprisingly) used a few clutch products from the singer's whimsical collaboration with Covergirl. We're especially smitten with her bubblegum-pink pout. Celebrity nail artist Tom Bachik routinely caters to the fingers of Hollywood's most elite stars. He's J.Lo's go-to manicurist, and for this year's Grammys, he created a covetable ombré pink-purple look fans fawned over. After applying a base coat, Bachik applied two different hues from OPI to create the pearlescent end result. He used the gel version, but for an easier time at home, we recommend the brand's normal line of polish. Next up, check out the holy-grail skincare products dermatologists and estheticians use on celebrities pre–red carpet.